OHOB represents opportunities for all of us to grow as one kind, compassionate, welcoming and integrated community. OHOB was initially set up in October 2015 as a Facebook Group called Open Hearts Open Borders – Refugee Aid; this was in response to the current refugee crisis and the tragic media images across our screens. We have now developed into a community organisation which supports many people across the South West as well as in Europe – we are here to help provide essential items and support to those who through circumstance require help, whether this is through conflict, socio-economic status or homelessness – we are here to help. 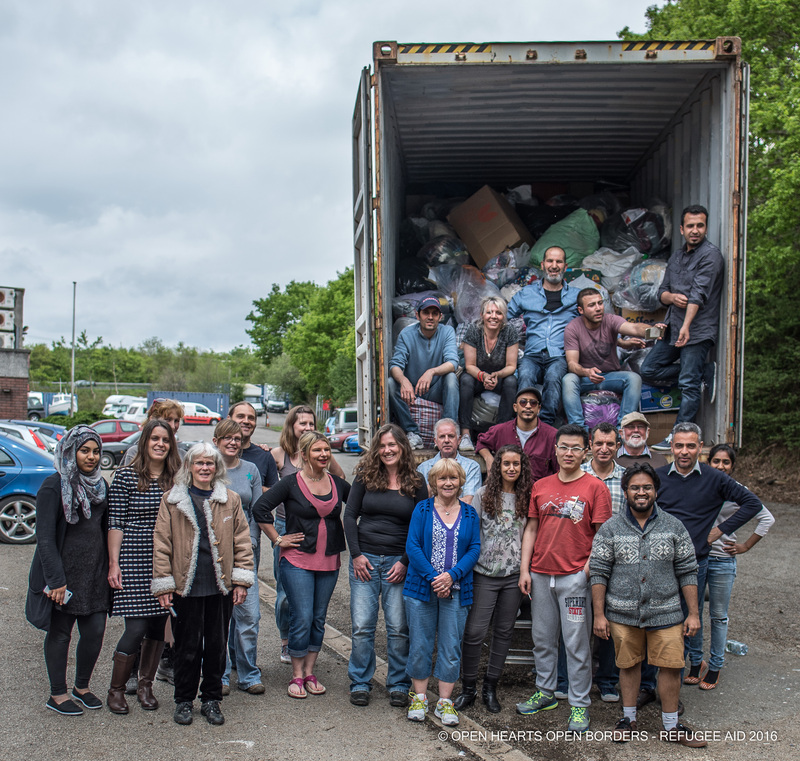 As a group of volunteers from across Devon and Cornwall, we collect essential aid items to fill containers and send pallets of aid to Europe. We now work closely with a number of other grass root aid groups across the South West. In Europe, we ship aid on a regular basis to Mobile Refugee Support (Dunkirk and Calais) and Attika Human Support (Lesvos Greece) we also ship to other projects on an ad hoc basis and when required. 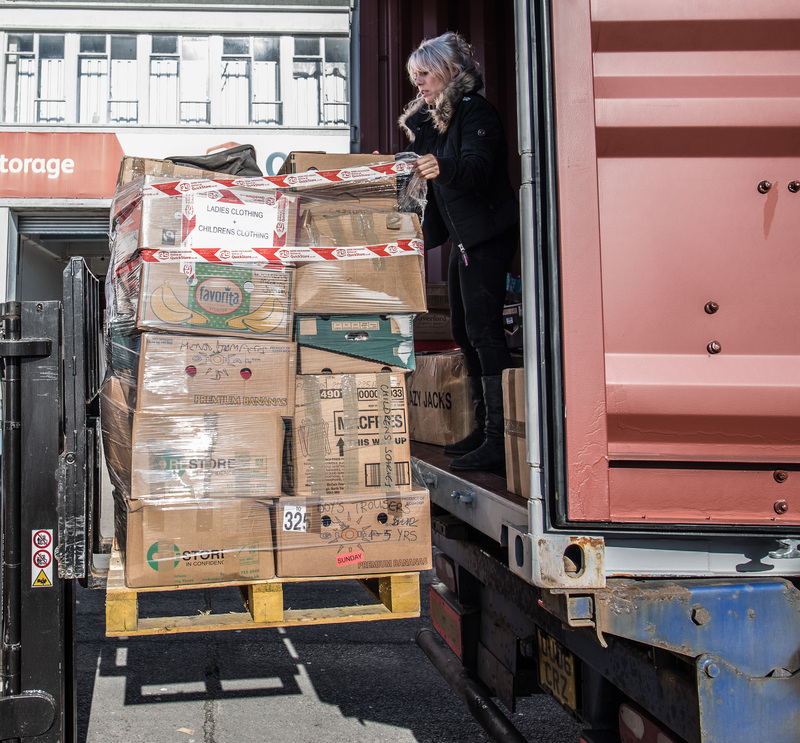 We welcome refugees and asylum seekers arriving or already living in the South West and across the United Kingdom by supporting and providing household and personal items for resettlement. As a grassroots organisation which has grown organically, we are entirely supported by local people and the community of Devon and Cornwall. This type of empowerment is the best way to build solid and lasting foundations of mutual understanding, integration and support to those less fortunate. OHOB is a focus for creating change through the kindness of a network of volunteers and supporters ranging from individuals and families to South West businesses, church groups, refugees, clubs and associations, charities and community groups. One of our main partners and supporters is QStore Business Centre in Saltash Cornwall PL12 6LX. Fundraise for essential aid items, shipping costs, general running and volunteer costs, storage, transportation and fuel costs. Develop a community spirit of working together to create change and provide a solution to the refugee crisis. Ensure partner projects in Greece and France receive the humanitarian aid required in order to sustain and support those living in refugee camps. Support resettlement under the SVPR scheme in the South West of England by providing essential and household items to ensure refugees and their families so they feel welcome and safe. Driven by a vision of the commonality of human beings OHOB firmly keeps at its heart the love and respect that transcends differences in society, cultures, and spiritual beliefs. As a grassroots humanitarian aid organisation we are entirely supported by local people and the community of Devon and Cornwall we think globally and give locally, whilst campaigning for the safe and legal routes of vulnerable children and adults across Europe. We simply want to help, so, OHOB provides a platform for this support and help to happen. The original Open Hearts Open Borders – Refugee Aid is now a voluntary ‘Not for Profit’ organisation registered with Companies House as OHOB Ltd. This ensures transparency and continuation of our humanitarian work so we can fundraise and continue to support refugee causes and projects. For further information please get in touch via email or Facebook.